We live in a toxic and stressful environment, and with age we produce less of the immune and growth factors that help us fight off disease and heal body tissue; which puts us out of balance. Colostrum restores balance by providing these necessary building blocks in perfect combination as nature intended. Our body doesn’t produce these factors and we all know our foods are depleted of essential nutrients. Loaded with over 95 immune factors and the entire IGF Super Family of natural growth factors to keep you in peak performance; Colostrum can bring back those essential factors for a better functioning, youthful you! 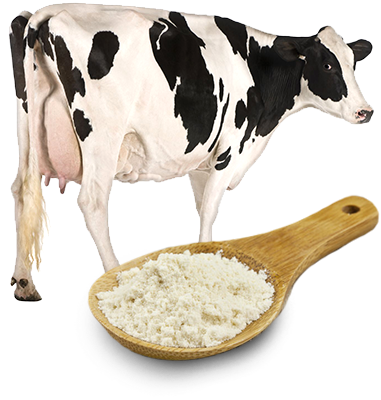 Bovine Colostrum is 99% identical to human colostrum but contains Vastly More beneficial factors than what any human mother can produce! Colostrum is nature’s perfect first food. It is the pre-milk substance that is produced by all mammals at the time of giving birth. Colostrum is a mixture of immune and growth factors as well as important nutrients, all designed to activate a newborn’s immune system, ensuring the health, vitality, and growth of the newborn. Numerous studies show that colostrum and its components continue to exert important biological activities also when given to adults, so that its beneficial effects extend well beyond the neonatal period of development. Colostrum is a mixture of over 90 bioactive immune and growth factors as well as important nutrients, all designed to support health and vitality. Natural colostrum has volumes of medical research supporting its health benefits, unlike many supplements. More than 25,000 scientific papers line the medical journals with documentation on colostrum’s ability to beneficially support a wide variety of health issues. Colostrum contains various immune system factors, such as immunoglobulins (Ig), proline-rich polypeptides (PRPs), lactoferrin (LF) and may others. 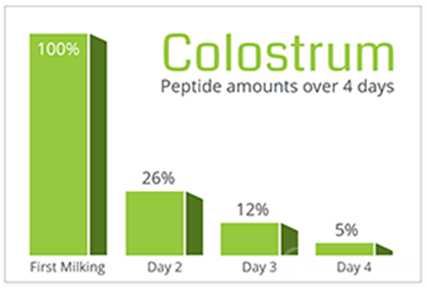 Proline-rich polypeptides (PRPs) have the unique ability to balance the immune system and are the most important component in colostrum. The majority of immunoglobulin fraction is represented by Immunoglobulin G (IgG). Immuno-supplementation with bovine antibodies has shown to be an effective means of providing local protection to the gastro-intestinal tract. Lactoferrin has potent anti-bacterial, anti-viral, and anti-oxidant activities to help protect the body from invading pathogens. Colostrum contains many growth factors, including insulin-like growth factor-1 and 2 (IGF-1 and IGF-2), Epithelial growth factor (EGF), Fibroblast growth factor (FGF), Platelet-derived growth factor (PDGF), and Transforming growth factors (TGF-α and TGF-β). What we are about to reveal is so remarkably simple it’s as easy as drinking a glass of water. Yet it has the potential to take your health to a whole new level like nothing you’ve ever tried before. 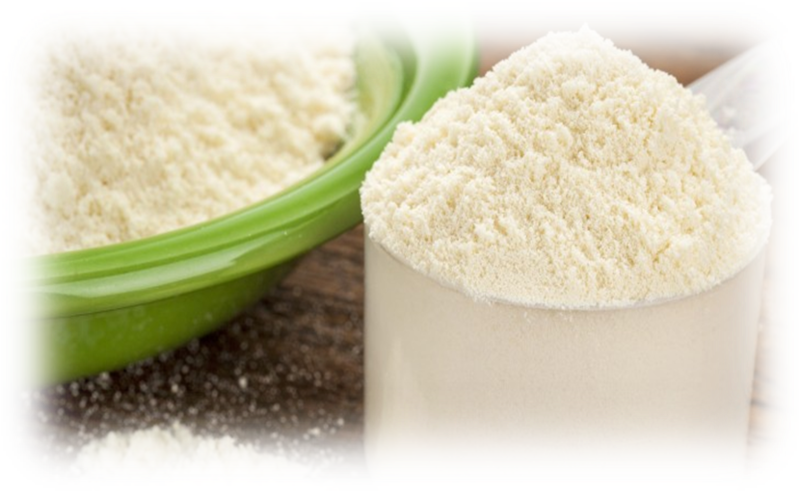 Colostrum is a combination of vitamins, minerals, and amino acids that are naturally occurring in a perfect combination. Vitamins A, B1, B2, B6, B12, and E are found in small amounts while traces of all other vitamins, as well as minerals such as calcium, sodium, magnesium and zinc, are also present in colostrum. Colostrum is a rich source of both essential and non-essential amino acids, as well as essential fats, including phospholipids, which enable colostral protein protection and easy absorption in the gut by forming liposomes around them. Bovine colostrum has an identical structure to the natural colostrum produced by humans. Research has attributed many health benefits to bovine colostrum. These benefits include improved gut stability and nutrient absorption. Colostrum also provides immunological balance, increases energy and reduces inflammation and illness. 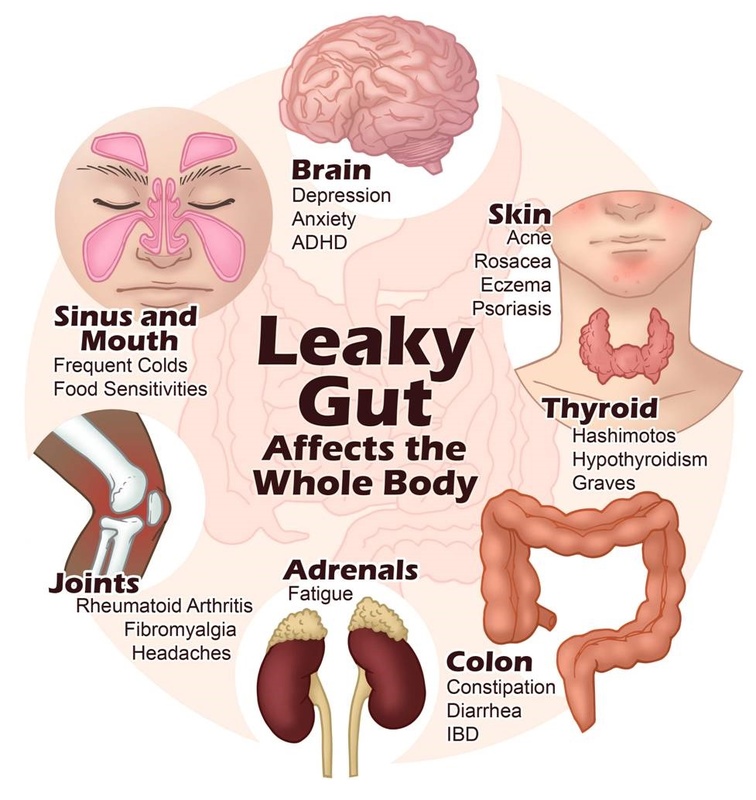 Leaky Gut Syndrome is the name given to a very common health disorder in which the intestinal lining is more permeable than normal. … Colostrum is the only substance that can close the holes in the intestinal lining. When mammals are born, they have a “leaky gut” by design. COLOSTRUM AND ITS’ COMPONENTS HAVE MORE SCIENCE, MORE PUBLISHED PEER REVIEWED CLINICAL STUDIES THAN ANY OTHER NUTRITIONAL SUBSTANCE KNOWN! But don’t take our word for this just go to www.pubmed.gov and search colostrum, bovine colostrum, immunoglobulin, cytokines, interleukin, Lactoferrin or any of the other components of colostrum. Prepare to be surprised at the amount of peer reviewed research you’ll find. But why would this be a surprise? If this weren’t true, something else would have been the first food of your life. Science and nature, our first food of life, perfect radiant health: This is one story that is not too good to be true. Fight off and eliminate infectious processes. Clinically proven against nature’s most virulent viruses. Colostrum has been shown to be more than three times as effective as vaccines against flu5. It helps stop and helps eliminate all types of infection throughout the body. It activates the immediate production of defense mechanisms and coordinates body defenses for optimum health, something no plant or chemical substance can even come close to. Modulates immune function: Colostrum is a true immune modulator. It is the only immune support that does not rev up an already over responding immune response. Colostrum’s components help balance immune responses and can assist in bringing back into balance over or improper immune responses that are associated with autoimmune conditions, allergies, asthma, diabetes, etc. Colostrum is the only immune support appropriate for these conditions. If you suffer from any of these conditions you should never take so called immune enhancers (boosters) as they can accelerate and worsen symptoms. Stimulates growth and regeneration of all of our body systems. Our body goes through constant renewal. Every seven years you have a completely new body. Why not give it the same regenerative and growth possibilities it has at our beginning? Muscle, skin, bone, brain and nervous tissue regeneration is proven. Athletes, aging seniors, our children and those who just want more lean muscle tone for a radiant appearance, all can benefit from colostrum use. Colostrum is for all ages! With the exception of infants under the age of 6 months, breastfeeding mothers and transplant patients, Colostrum is the prefect whole food. 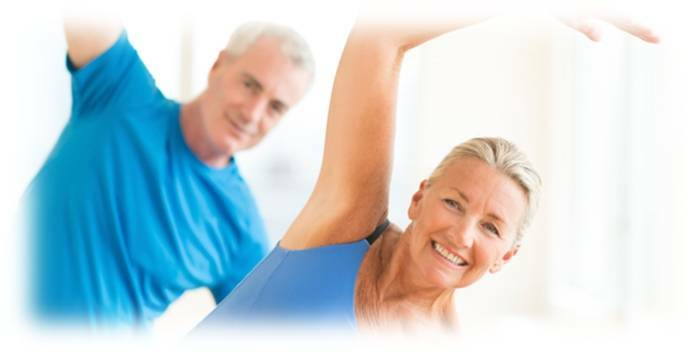 Anti-Aging, Fitness and Well-being, or Weight Loss, Colostrum can help you in your quest. 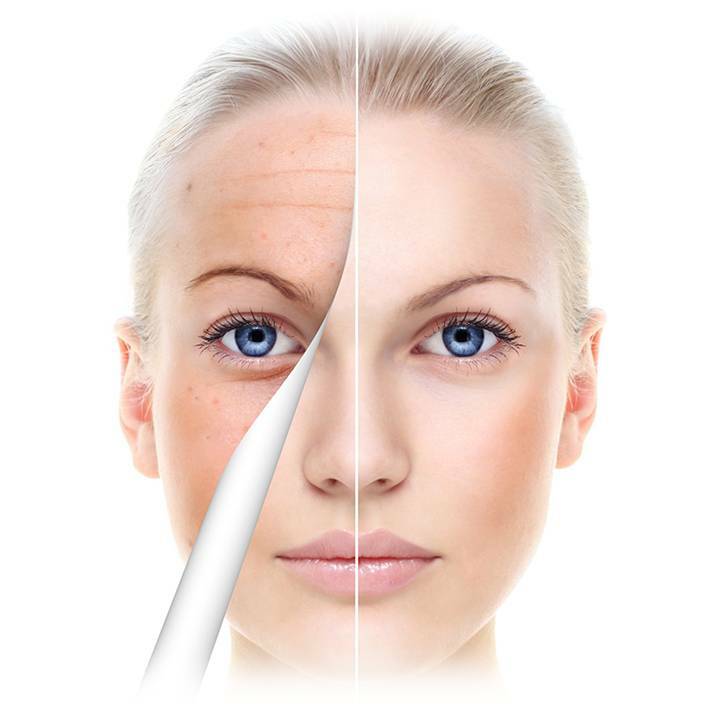 The New England Journal of Medicine (the most prestigious medical journal in the world) reported that the most effective means to stop or slow the aging process would be to replace the hormonal factors that cause us to grow normal cellular structures in the body. After maturity (between the ages of 16-20), the level of growth hormone that our body naturally produces dwindles. We notice this as gravity, unmercifully, takes its toll. 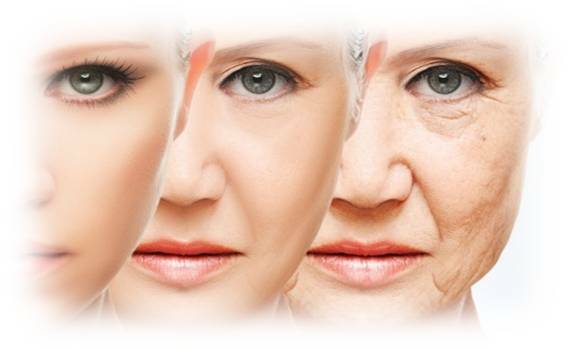 Our bodies lose muscle tone and elasticity of the skin, causing us to sag and wrinkle. We lose bone mass and shrink, while our hands, feet, nose and ears get larger. 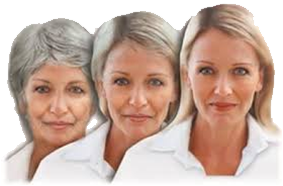 We would all do almost anything to stop this aging process but we may want to think twice before we consider isolated hormone replacement sources and are not identical to the hormones made by the body. Synthesized and isolated hormones can produce body imbalances and side effects that can be life threatening! There is another answer. A natural answer… Colostrum’s perfectly balanced combination of immune and growth factors, administered in human clinical trials with aged subjects, safely increases lgF-1 to pre-puberty levels, producing increased muscle weight and strength. IfF-1 and GH in colostrum also has been shown to tone muscles, melt body fat, return elasticity to the skin and increase bone density. Colostrum, life’s first food, has given those of use that are growing older, real hope that there may be a Fountain of Youth after all! Everything in life springs forth from DNA – flesh, bones, hormones, nervous system, a baby’s first word, the euphoria that comes with first love, the ability to learn to speak a foreign language. All of this originates from DNA. This silent intelligence of life, DNA, attracts the chemicals it needs to form new DNA which is an essential part of cell division. DNA is also able to manufacture RNA, which is nearly identical to DNA and participates as its active counterpart. RNA (the active intelligence) is the traveler sent to produce the proteins needed to build and repair the body. 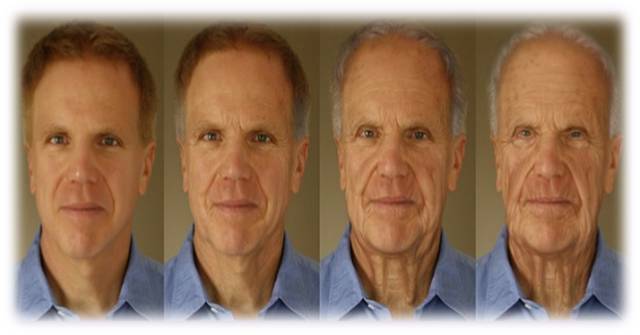 Dr. Benjamin Frank, whose research on youth and aging, showed RNA to be one of our most critical anti-aging factors. His research showed that lgf-1 (found naturally in colostrum) is one of the only substances known to stimulate the growth and repair of these key nucleic acids, DNA and RNA. Colostrum has been shown to help maintain blood glucose levels to serve the brain. Also, IgF-1 and GF, some of the smallest particles known, have been shown to cross the blood brain barrier to help with nerve synapses in the brain, enhancing mental acuity and increasing serotonin levels, to brighten our moods. And just possibly, as we age, this might be one of the most important reasons to take a serious look at colostrum. Because our Colostrum is a first milking colostrum (Within 6 hours) it contains extremely low levels of lactose. So low in fact… most individuals with lactose issues should not experience any difficulty with it. Some have even reported that they no longer have lactose intolerance issues. Because they just focus on helping with controlling your appetite! #1 Safely control your appetite: This part is true; we have to control “how much” we eat otherwise known as calories and turn down the overeating mechanism in our brains, the hypothalamus! #2 Cleansing your cravings for sweets: It’s ok to have a little “something”, it’s not ok when you eat the entire container of “something”! Your taste buds become addicted to bad things, sugars/bad carbohydrates, and until we “cleanse” the addiction your “taste buds” will remain in control! #3 Burning Fat: We need to turn up our metabolic thermostat! So many people walk around with a slow functioning thyroid and just live with being fat; that can change with turning on the “Leptin Factor”! #4 Balancing Body Chemistries: So many of us walk around as “Insulin Resistant” weight-gainers! That doesn’t mean we are diabetic, but it certainly means we are getting fatter and moving in that direction! #5 Increasing Lean Muscle: People who have more muscle can eat more calories, which burns fat as an energy source instead of storing it! We are not talking about becoming a body-builder; just allow the components like leptin to help build underlying lean muscle! Triggering the “Leptin Factor”, where your body begins to use fat as an energy source and you begin to realize the long-term weight and size of your dreams; once triggered the weight stays off! * Leptin: is a small hormone-like protein that can suppress appetite, build lean muscle and lead to body weight reduction. Mature fat cells release leptin in the presence of insulin and IGF-1. 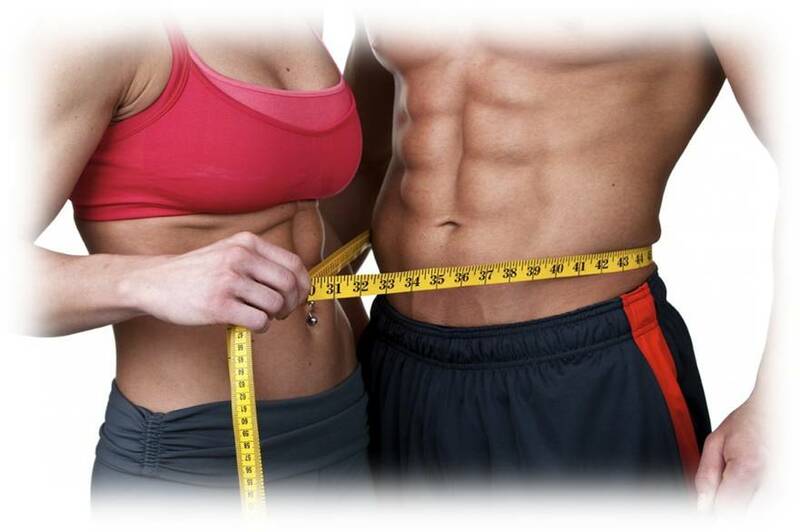 Large fat cells release very little leptin, while small fat cells release more helping to keep you thin! * IGF-1: triggers the release of energy (glucose metabolism) and helps with building muscle, burning fat as an energy source and helping to balance body chemistries! Fitness is more than just being in shape! Fitness is about how you feel AND how you look, rather than just about exercise! How you feel may even be more important than the way you look. Let’s face it, if you look like you have the perfect body but suffer from a chronic disease, are you fit? Physical activity can help reduce your risk of chronic disease, but what if you already suffer from “dis-ease”? that may help you obtain your goals! * Proline-rich Polypeptides: a protein, found within our colostrum, that helps regulate the immune system, keeping it in a balanced state between under and over-activity. This is extremely important for those persons with autoimmune disease. Proline-rich Polypeptides have a balancing effect on the immune response and can help suppress an overactive immune system in cases where it has begun to attack the tissues of the body. * Glutathione: is a combination of three simple building blocks of amino acids — cysteine, glycine and glutamine, found within our colostrum. This is the Mother of Antioxidants which acts like fly paper and all the bad things in the body stick onto it, including free radicals and toxins like mercury and other heavy metals! Not only are the (3) three amino acids found within colostrum but “Whole Food” Glutathione is abundant as well! What happens if an infant doesn’t get Colostrum? Colostrum signals the infant that they have been born and they need to develop their immune system. It also offers passive protection to a newborn infant against enteric pathogens, primarily via the transfer of immunoglobulins and growth factors from mother to infant. Insulin-like growth factors (IGF) I and II belong to a whole family of hormones contained in colostrum, called the IGF super family. By taking the “Whole-Food” IGF-1 Super Family, found within our colostrum, into your daily lives, these natural “Youthful” components can help fulfill your aim of looking and feeling young! Transforming growth factors A and B are helpful in healing wounds and in the synthesis and repair of RNA and DNA. Can Colostrum Help Autoimmune Conditions? Colostrum doesn’t treat or cure anything. It just balances the immune system. And if you look at disease states, an autoimmune condition is a hyperactive immune state. So, if Colostrum balances the immune system, that will help the body do what it is supposed to do. Colostrum from the first milking produced when a calf is born has significantly higher levels of immunoglobulins (Ig), proline-rich-polypeptides (PRPs) and other important bioactive components. iZeePure’s Formulator accepts colostrum from the first milking only. 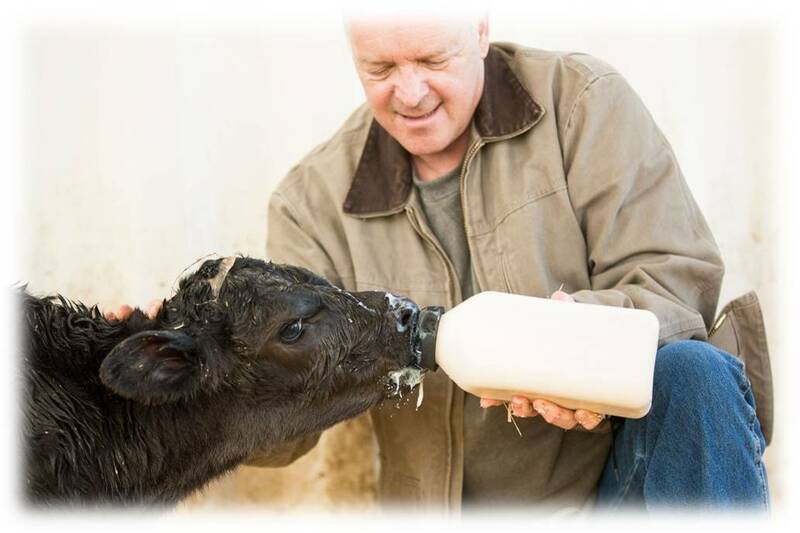 In order to kick off the calf’s immune system, it is vital the newborn calf consumes this first milking colostrum. Each cow produces about 12 liters of first milking colostrum at the time the calf is born. About 2 liters is fed to the calf within the first half hour after birth. About three hours later, the calf is given a boost of another 2 liters. iZeePure’s Formulator then harvests the remaining 8 liters. We collect first milking only and that is what counts it is not the hours after giving birth but the fact that it is the first milking after giving birth. The way that we test that and guarantee that is by testing at the dairy at the time of collection. We test the density of the colostrum with a brix meter which help us determine that it is in fact colostrum and first milking. Our prime location in the Southwest of the United States enables Our Laboratory to collect fresh colostrum all year. Because of the temperate climate, calving occurs year-round here in the Southwest – which has the largest concentration of dairy cows in the world. In many other parts of the globe (including Northern Europe and Northern United States) calving only occurs in the spring because of the cycle of the seasons. As a result, colostrum products produced in these areas are manufactured only during the spring and can be as much as a year old before reaching consumers. All raw colostrum supplied to Our Laboratory must meet 2003 Pasteurization Milk Ordinance (PMO) requirements. Colostrum is only collected from USDA Grade A dairies that are monitored daily for quality assurance compliance by our field quality control specialist. Raw colostrum from each dairy undergoes a 42 point in-house and/or independent testing protocol including chemistry, specification of pathogens and general microbiology and other necessary testing to assure colostrum is collected from the first milking and free from adulterants. Our laboratory equipment includes six HPLC machines, GC/MS, FTIR, ICP/MS, GFAA, PCR machines and 96 WELL immunoassays operated by 14 scientists with graduate degrees. Our Laboratory guarantees the highest quality. With our 21 CFR 111 compliance, HACCP (Hazard Analysis and Critical Control Procedures) and cGMP (certified Good Manufacturing Practices) certifications, we have quality control systems in place to produce consistent supreme quality assurance results. 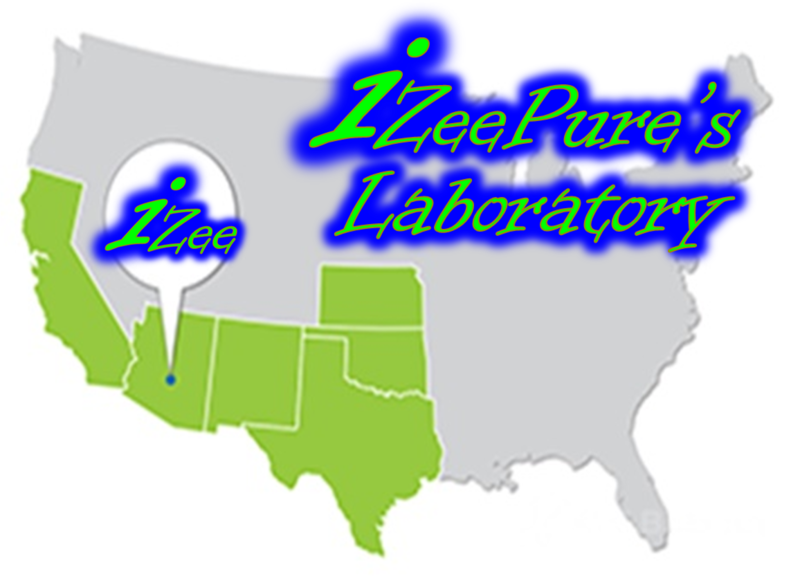 Our in-house laboratory is registered with the U.S. Federal government as a clinical laboratory. We have a skilled team and equipment that is coveted in the industry. We sample and test all incoming and outgoing items including colostrum, lactoferrin, other raw materials and packaging components to ensure all specifications are met. Our quality assurance team performs environmental tests to maintain dairy industry standards and nutritional supplement manufacturing requirements. Quality procedures are implemented throughout each section of our production and packaging process that puts us at top-notch industry level. Every step of our manufacturing process, material handling, product release, line clearance, employee training and standard operating procedures are timely, documented and maintained. Our Laboratory performs internal and external testing of hundreds of analytes in order to ensure the highest standard of colostrum and lactoferrin quality and to adhere to the regulatory obligations of the United States and to the dozens of other countries to which Our Laboratory exports.